There are 40 Memory Care Facilities in the Littleton area, with 6 in Littleton and 34 nearby. The average cost of memory care in Littleton is $4,692 per month. This is higher than the national median of $4,650. Cheaper nearby regions include Englewood with an average starting cost of $4,259. To help you with your search, browse the 52 reviews below for memory care facilities in Littleton. On average, consumers rate memory care in Littleton 4.7 out of 5 stars. Better rated regions include Parker with an average rating of 5.0 out of 5 stars. Caring.com has helped thousands of families find high-quality senior care. To speak with one of our Family Advisors about memory care options and costs in Littleton, call (855) 863-8283. Littleton is situated in the north-central region of Colorado, a state that is listed as a member of the AARP Network of Age-Friendly States. Colorado is home to about 71,000 people with Alzheimer's disease, a disease that is diagnosed primarily in those age 65 and over. The city of Littleton has a sizable senior community that accounts for over 17 percent of the 48,000-person population. To serve seniors with dementia, the city has six memory care facilities, and there are nearly five dozen more facilities in nearby cities. Generally, these are located within assisted living facilities that provide specialized care. 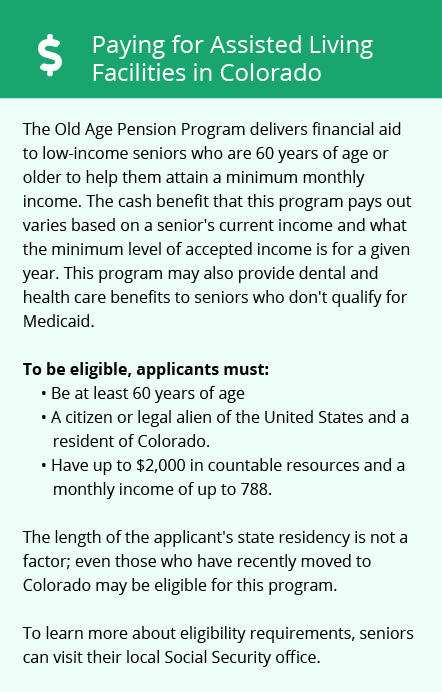 While Colorado seniors pay income tax on all types of retirement income, including Social Security, the state offers a sizable deduction to minimize the expense. Littleton seniors 65 and up are eligible for a $24,000 deduction, and for married couples, each person can claim the deduction. Littleton's crime rate is higher than 77 percent of Colorado's cities, but it is middle of the pack when compared to other U.S. cities of similar size. While families enjoy peace of mind that their loved ones are safe in memory care in this city, they may still want to find out what measures their loved ones' facilities take to keep resident secure and prevent wandering. Overall, living costs are about 46 percent higher in Littleton than they are elsewhere in the country, but this is mainly due to the high cost of real estate. While this may result in a higher cost for room and board in a memory care facility, this expense may be offset by the relatively low cost of healthcare, which is about 2 percent lower than the national median. Littleton has hot summers and chilly winters. The hottest month is July when temperatures are in the upper-80s, but there is virtually no humidity, making the climate more comfortable. Winters are harsh with lows in the teens, and the city receives an average of 80 inches of annual snowfall. This can make local travels a challenge for families visiting loved ones in memory care. Memory Care costs in Littleton start around $4,692 per month on average, while the nationwide average cost of memory care is $4,800 per month. It’s important to note that memory care rates in Littleton and the surrounding suburbs can vary widely based on factors such as location, the level of care needed, apartment size and the types of amenities offered at each community. 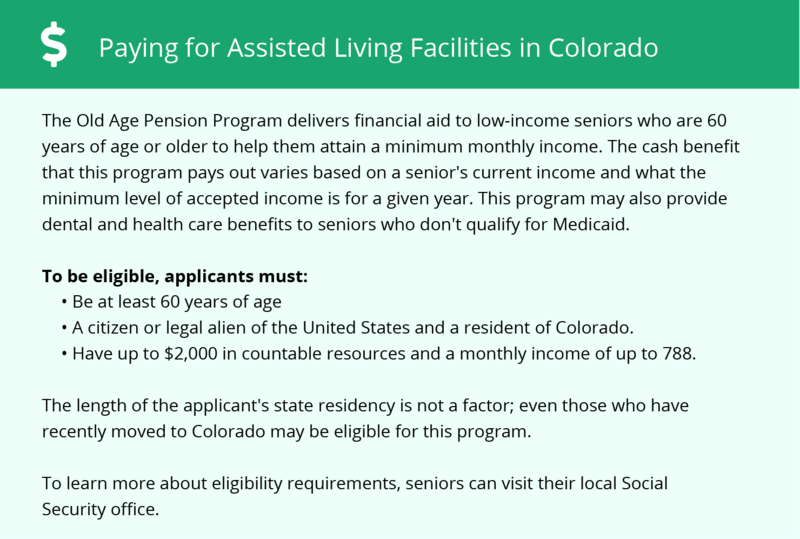 Littleton and the surrounding area are home to numerous government agencies and non-profit organizations offering help for seniors searching for or currently residing in an assisted living community. These organizations can also provide assistance in a number of other eldercare services such as geriatric care management, elder law advice, estate planning, finding home care and health and wellness programs. To see a list of free memory care resources in Littleton, please visit our Assisted Living in Colorado page. Littleton-area assisted living communities must adhere to the comprehensive set of state laws and regulations that all assisted living communities in Colorado are required to follow. Visit our Memory Care in Colorado page for more information about these laws.